Have you ever ran a checklist, and then looked up a few minutes later and realized that something that you thought you had done was not done? Is there a professional pilot with any experience who has not had this experience? 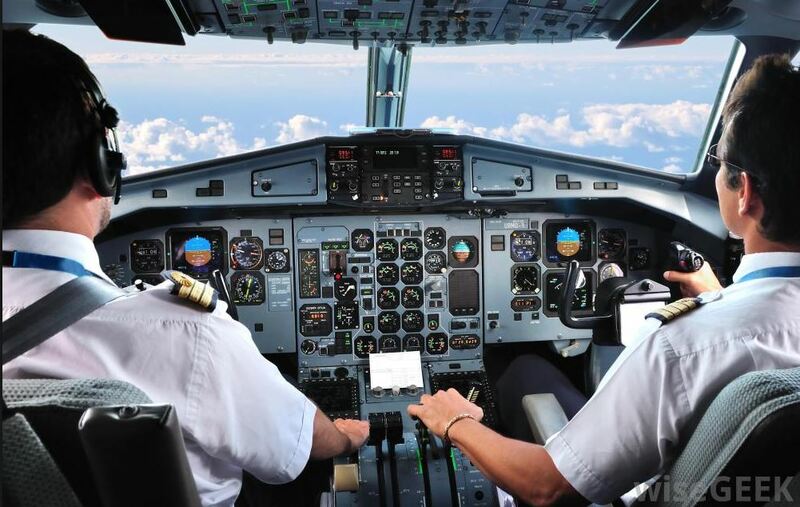 The point is that as pilots we often read reports and dismiss them with the thought that “it won’t happen to me” If you could honestly say that you have never missed a checklist item, then you can skip this article as you are likely not a pilot! Hypoxia. That’s one of those things that you have to worry about flying little airplanes. In our modern transport aircraft, that’s not a real risk, is it? We all learned about hypoxia early in our flying careers. 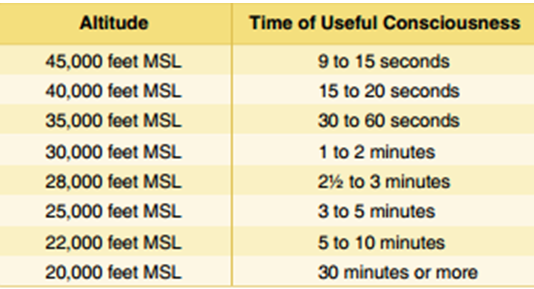 Part of that discussion likely involved a chart that showed the time of useful consciousness at various altitudes in the event you lost pressurization. Like most pilots, I ran through the scenarios in my head. I had climbed mountains over 14,000 feet, so it did not seem that bad, so how bad could it be if we lost the cabin? The truth is that a sudden, rapid loss of pressurization is not likely to lead to a problem of hypoxia. The reason being that the crew is going to have no question as to what is happening and the need to don oxygen masks. While this is the type of event that seems like the “worst case” scenario, like many risks, the one with the most salience is not the one that is the most likely to kill you. 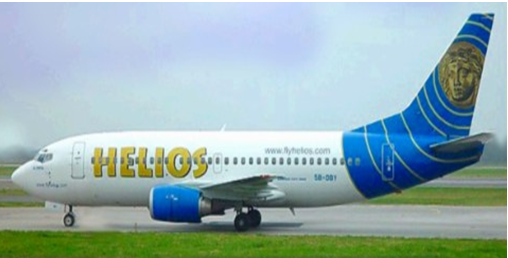 On August 14, 2005, the crew of a Helios airlines B-737 were preparing for departure[i]. Things moved quickly during the preflight and departure stage, as we have all experienced. Flows were ran, checklists completed, and the flight departed. A few minutes after takeoff, the Captain called back to their dispatcher to discuss a problem that appeared to be the air-ground shift. The crew had an intermittent warning horn, a master caution and an equipment cooling alert. The Captain inquired as to where the circuit breakers were for the equipment cooling, not surprising as the aircraft maintenance history showed that it had a history of equipment cooling problems. Expectation bias is the tendency to believe or see results that agree with those details that agree with our expectation, and to disbelieve, discard or downgrade the cor­re­spond­ing weight­ings for the data that appear in con­flict with those expec­ta­tions[ii]. The crew continued to trouble-shoot the issue while they climbed. 13 minutes after takeoff there were no further communications from the flight crew. The actual problem turned out to be that the pressurization was not properly set; it was part of the checklist, but it was not accomplished. The Captain was known for being meticulous on procedures and quiet. According to the report, the first officer had a history of rushing through checklists. This is not uncommon, although what is even more common (and likely something every professional pilot has done at one time or another), is “looking” at an item without really “seeing” it. 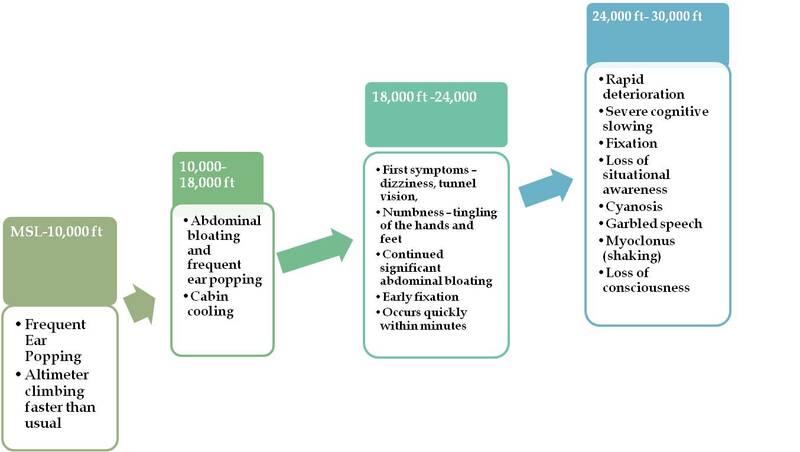 Unlike a rapid decompression, the cues for “slow onset” hypoxia are not as clear. Think of it as the “boiled frog” effect. While the cabin slowly ascends there are the usual cues. Ears need to be cleared, but for anyone that flies often, that is pretty much an unconscious act. Other cues are more subtle, such as gradual decrease in the ability to discern color and a slow degradation in the ability to think clearly. The crew of the Helios B-737 never sorted out what was happening. The aircraft continued to fly on autopilot, finally running out of fuel and crashing about three hours later, killing all 121 aboard. The flight crew never regained consciousness. It appears that a flight attendant either maintained or regained consciousness and attempted to regain control of the aircraft just prior to the aircraft running out of fuel. All humans are subject to cognitive biases of various sorts. These biases are heuristic “short cuts” that we use to make sense of the world around us. They are the basis of “intuition[iii]”, which allow us to make more rapid decisions in familiar situations. The more careful thinking required to logically analyze a situation or concept requires considerably more energy. Humans do not like to do this under the best of circumstances (preferring the much faster and easier intuitive method). If our mental ability is compromised in any way, such as being fatigued, ill, impaired by medicines or alcohol, or even with low blood sugar, we will be even more inclined to think the “easy” way. Hypoxia will have similar effects. The Board was also sensitive to the fact that automatic execution of actions was very much affected by assumptions – in the case of performing a large number of verification steps, the assumption that all switches and indications were in the usual, normal for this phase of flight position. A superfluous green indication on the pressurization panel could be easily (inadvertently) overlooked when perception was biased by the expectation that it should not be present. These lessons alone can save your life. The only way to break this tendency is to make a conscious, direct effort to focus on each item and ensure it is accomplished. The failure to pressurize while on ascent, while the crew is attending to other issues, represents one of the most dangerous hypoxia situations. Notice how subtle the effects are. The items up through 18,000 feet could be easily ignored, and the loss of cognitive functions from 18,000 through 24,000 feet are also things that we might not notice or might attribute to other things. Tunnel vision, like loss of color vision, is much less obvious while a person is experiencing it, particularly when focused on trouble-shooting a task. Once past that phase, things happen rapidly. Unfortunately, the symptoms are impairing our ability to see the symptoms and recognize them! Hypoxia can be a factor in other scenarios. Cargo aircraft that have been depressurized as part of a smoke procedure could put crews at risk if they elect to go back and investigate without an activated walk-around oxygen mask. The canular-type supplemental oxygen used in general aviation can put a person at risk at higher altitudes as well due to the insidiousness of the slow degradation. A similar effect could occur due to a leaking mask or a diluted oxygen flow. Hypoxia is one of those threats which most professional pilots seldom consider. With modern aircraft, the chances of a rapid decompression are very low. Many pilots do not worry about it and approach the entire issue casually. Slow-onset hypoxia has received little attention over the years. The thought of the pressurization not working on climb out is not one that strikes fear in our hearts or grabs our imagination like the thought of a door blowing off an aircraft leading to explosive decompression. Despite that, it is the slow one which is more likely to kill you. The degradation of our cognitive functioning which occurs with hypoxia can lead to a fixation that is so strong that the last thing you will ever know is “what a great pilot you are”. Awareness is the key. Each persons’ hypoxia experience will be unique to them. Crew communication (i.e., good CRM) becomes a vital component in identifying the problem prior to a loss of situational awareness and subsequent incapacitation. Furthermore, flight attendants should be trained to have a fundamental understanding of the sequence of events once the “rubber jungle” drops and should proactively participate in the CRM with the flight crew. [i] HELLENIC REPUBLIC MINISTRY OF TRANSPORT & COMMUNICATIONS. (2006). AIRCRAFT ACCIDENT REPORT HELIOS AIRWAYS FLIGHT HCY522. [ii] Dismukes, R., Berman, B, and Loukopoulos, L. (2007). The Limits of Expertise. Ashagate: Farnham, England. [iii] Kahneman, D. (2012). Thinking Fast and Slow. Ferrar, Strauss and Giroux: New York. This entry was posted in Safety and tagged Hypoxia Malaysia Airlines Flight 370 Helios Airline Safety Investigators Shem Malmquist Depressurization Accident. Bookmark the permalink.